File photo. Gardaí have appealed for any witnesses to the crash to come forward. 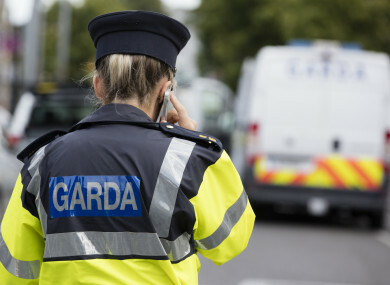 GARDAÍ IN LOUTH are investigating a fatal road crash that happened on the R173 near Carlingford just after 12.30am this morning. Two men – whose ages have not yet been confirmed – were pronounced dead at the scene following the single car crash. Both men were taken to Louth County Hospital in Dundalk for post-mortem examinations. That stretch of road has been closed while garda forensic teams examine the scene. Diversions are in place. Gardaí have appealed for any witnesses to contact them at Carlingford Garda Station on 042 937 3102, the Garda Confidential Line on 1800 666 111, or any garda station. Email “Two men die after single car crash in Louth in the early hours this morning”. Feedback on “Two men die after single car crash in Louth in the early hours this morning”.